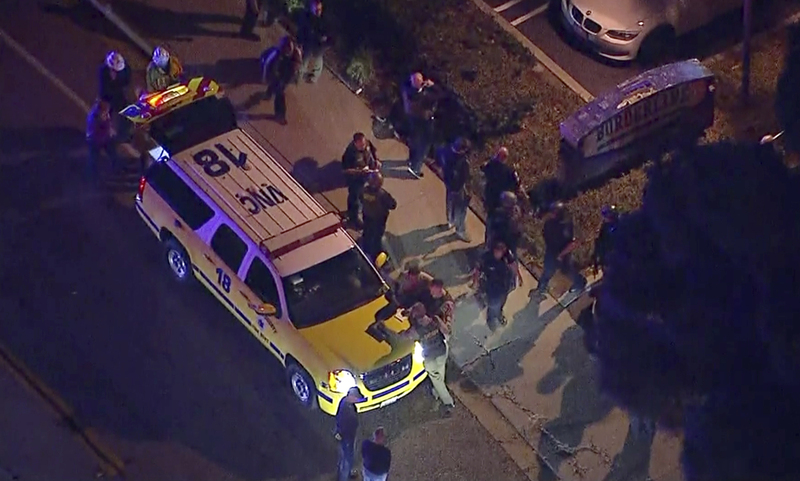 Thousand Oaks, CA - Thirteen people are dead after a gunman opened fire on a crowd at a country dance bar holding a weekly “college night” Wednesday in Southern California, sending hundreds fleeing in terror including some who used barstools to break windows and escape, authorities said. This is the 48th mass killing in the US so far this year. Two hundred and forty-three people have died in these attacks. America loves guns more than their children. Idiots. Australia banned guns 20 years ago and there has never been a mass shooting since. Criminals have guns but are not interested in mass shootings, they only shoot each other. 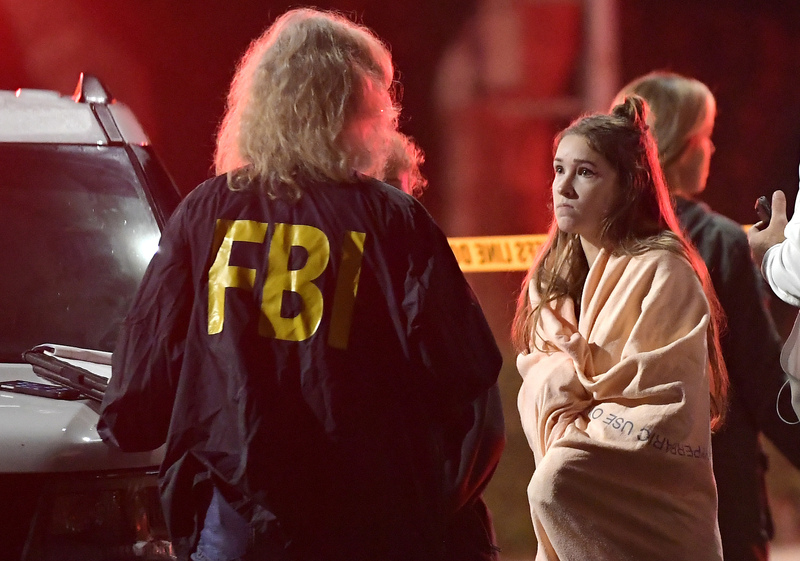 I'm starting to think you deserve these tragedies if you are so stupid as to allow psychotics to own multiple machine guns and automatic weapons. In Australia we seem to still be able to live our lives without anyone having guns and we know we won't get shot when we walk down the street or go to school. Idiots. Australia is a giant island with tight borders. America has porous borders that half the country doesn't want to address. Criminals can and do easily purchase one of the thousands of weapons smuggled in through Mexico each year. Who's the idiot? Disarming law abiding American citizens won't happen until the border is perfectly sealed, criminals are all locked up, and the government can not become tyrannical. Ie: never. Guns don't kill people, people kill people..I have served in the military, law enforcement and am a normal law abiding citizen. I carry a permitted concealed weapon daily and have never committed a crime or murdered anyone. mentally deficient individuals are not permitted to own fire arms, do they slip through the cracks, sometimes, however stricter vetting of purchasers is the solution, not the ban of weapons. Chicago, IL has one of the toughest gun laws in the USA, yet its murder rate is the highest in the country. Recently in Birmingham, Alabama a man and his 2 sons were sitting in a McDonalds when an armed masked individual entered and started shooting. The law abiding licensed to carry individual shot & killed the shooter, even though he & his son were shot, and thus preventing an even greater carnage. Unfortunately this incident was not widely reported by the media. Perhaps civility & respect still prevail in Australia. JOBS not MOBS! Yeah you're the idiot because guns are not available, mainly because because they are not sold at every Kmart and Target to anyone, including psychos that want one and if you are caught with a gun it's five years jail or whatever it is. Nothing to do with borders. Make guns illegal in the USA, give police the power to search cars and individuals and that is the end of mass shootings. PS as I said, criminals have guns in Australia. You can buy anything for money anywhere in the world. Non-criminals don't have guns because it's so risky to buy and the penalties are severe for having one. You're average 18 year old here won't know how to get one even if he wanted to kill his whole class. You can't go to target and just buy one. Your argument falls down again, because once guns were made illegal 56,000 weapons were handed in to police and destroyed, so people had the weapons and voluntarily got rid of them. So nothing to do with open borders. You are forgetting that most people are honest and won't keep their guns and also because they don't want to go to jail just like most people do their taxes correctly because the penalties here are harsh. Why would you want to own a gun of no-one else had a gun? Stupid reasoning. I'm totally sick of hearing guns don't kill, people kill. Stupid argument and you are part of the problem. Don't you care that thousands get killed by guns unnecessarily? Thank you for your statistical report. Are you keeping tabs? Or not, is the key, as with all your rants. Plain and simple, he was a nut case. Until we enforce laws to remove firearms from people with mental issues, these kind of events will continue. It's not about the politics. That the killer wasn't a Trump supporter, they would be living up this story for weeks.